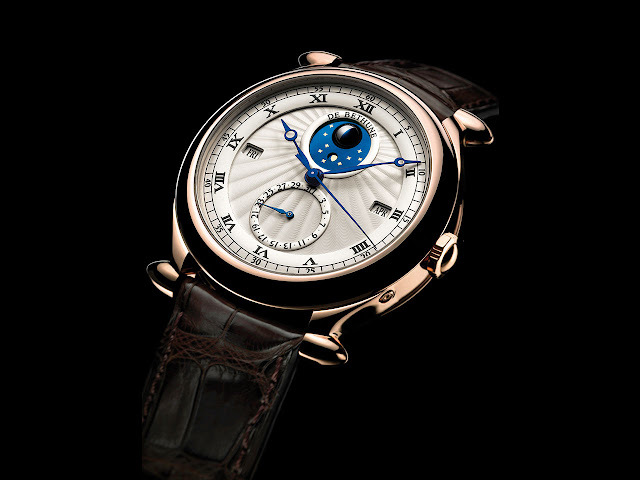 With the DB16, De Bethune celebrates classic Fine Watchmaking in a ballet of complications. The architecture of the DB2509 calibre is built around a silicon and titanium tourbillon beating at 36,000 vib/h, one of the fastest and lightest on the market. 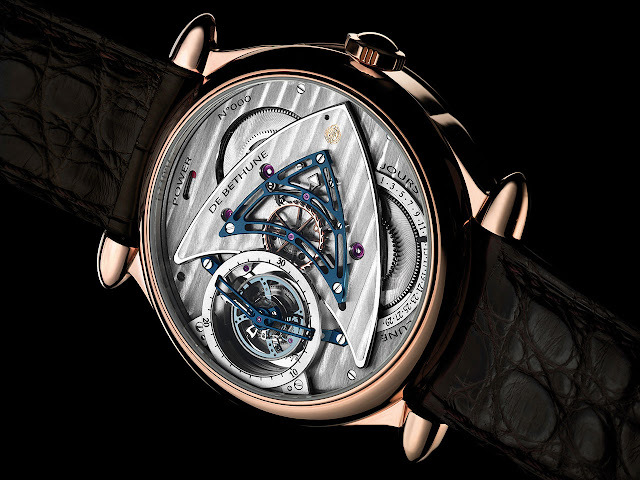 This movement also drives a power indicator, seconds, as well as a retrograde display of the age of the moon. Hidden on the back of the watch, this masterpiece will surprise connoisseurs looking for subtle details. The classically understated dial thus provides readings of the perpetual calendar and spherical moon-phase indications, sublimated by the Manufacture’s signature silver-toned guilloché motif. The steady, rhythmical beat of the jumping seconds embodies the very essence of the horological emotions procured by this stunning creation.